Mark Boyd's Family Web Pages. Help children know about Jesus. 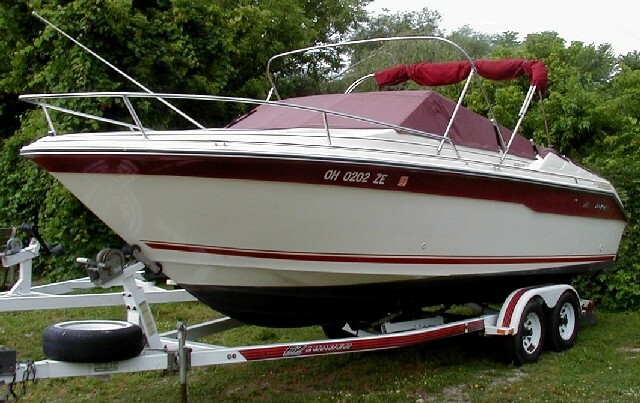 We owned the SeaRay from 2001 to 2005. The photo below is while we were up at Lake Erie. 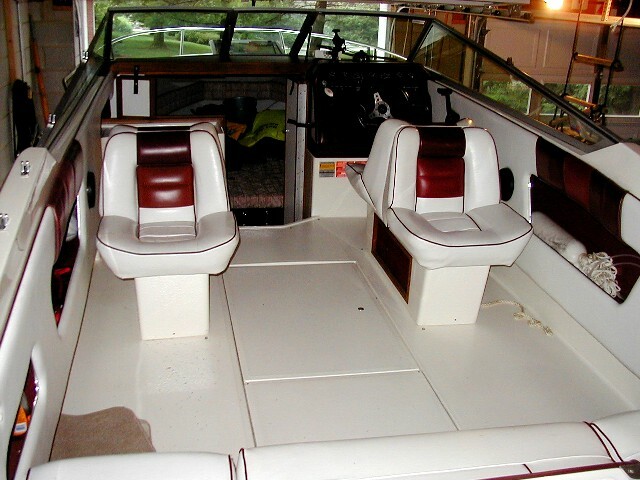 Below is the SeaRay in the garage. It just barely fit. I had to extend the garage door opening up a foot for the windshield to clear, and the trailer hitch stuck out about a foot,so I had to simply put plastic over the door opening in winter because the door couldn't close.